The value of Google My Business is the same whether you have one location or a hundred: place your verified business address, hours and contact information in mobile and desktop searches for users who are looking for services like yours near their location. Listing a single business is easy, but listing more than ten is a much more complex process. I know this because I recently updated and managed over 500 locations for a large retailer with separate business types, something necessary to show the right info on maps and to connect our AdWords strategy to our location data. It was a long road, but I did survive with my sanity intact and now I’m going to help you do the same. Here are five tips that I recommend you employ in order to save you, and your successors, a lot of time and your sanity in the long-run. It may be tempting to let each location manager or regional manager set up their own account and manage their own location profile, but this is NOT something you should do. Having each location and regional manager set up their own account may cause problems when management changes or when there is data that needs to be applied across all locations. For example, if you do not have control over all locations and you change your domain or your website, then it possible that not all of your managers will update their profiles to reflect this and wrong or outdated information may be provided to your customers. Keeping all the profiles with a central corporate account will also allow for uniformity on how the business provides information and classifies itself, it also keep the control within the company even as management changes. If you would like to give others access to edit location information within the account, then you add them as account managers, which gives them administration abilities on the shared business account without needing to provide them with direct access to the main account. As you approve managers, please keep in mind that they will have the following permissions as well as the ability to edit any of the locations within that business account! If you are just setting up your account or need to upload a large number of locations, make a bulk upload spreadsheet and then use the import tool to upload them all at once. If you try to upload a location that someone has already claimed ownership of, then it will show up on your location listing as “Different Owner” and give you an option to request ownership of the page. The current owner has to first approve you as a manager and then transfer ownership. It is probably best to get in touch with the local managers and see if any of them claimed ownership to smooth out this process. This can be time-consuming and frustrating, but claiming all of your businesses will ensure that you have control of the information that goes out to your customers, enable you to use the location data for AdWords, and keep consistency as management changes hands. This is something to consider if your business is made up of smaller businesses, sections, or very distinct departments or multiple business types. For example, if you have a restaurant that also has a mini-market, you can make a location profile for the restaurant and a location profile for the mini-market. You can customize the website information to take the user to the appropriate departments page and to provide the specific phone number for that department. This will help whoever is looking up your store get to the information you want faster! This is not always appropriate to do. A department store should not separate out their business accounts by the different types of clothes or shoes they sell. This is expected of a department store and separating the departments into different location profiles would not provide the user with any useful information. The greatest part of dividing your locations into different business accounts is if you are trying to make bulk edits on all of the locations for a specific business account. If you have recently made a page for the mini-market on the restaurant website and you want the mini-market information to direct users there instead, then you can go into the mini-market business account, chose to edit one location’s webpage address, and click “apply all”. Even if you choose to keep your different businesses in one business account (which is not recommended) you can still make use of the bulk edits mechanism, you just have to use a combination of the search bar and the check boxes to select which locations to apply the changes to. This will save you a lot of time if you have a lot of locations that need changing! CAUTION: Before you click to “apply all” after updating a location, make sure that the updated information is true across all of the locations in the business account (or the selected locations). If you are updating something such as physical address or phone number (and each location has a distinct number) do not click to apply all. If not all of your locations will now have the same address or phone number. If you did not make a selection, then “apply all” will apply your changes to ALL of the locations listed in that specific business account. This is also another reason why you should be careful who you give management access to. You need to decide whether you are sending them to the general page or to the specific location’s page. If the specific page does not contain significant pieces of information that are not on the general page, then I suggest opting to put the general page up instead. This will make updating easier if you ever re-design or re-structure your website. You can choose to just list the primary number, or to include more numbers. Do you want to channel all calls through one line? Then just include the primary number. If you want to allow your users to directly call the department they’re looking for, then include some secondary. 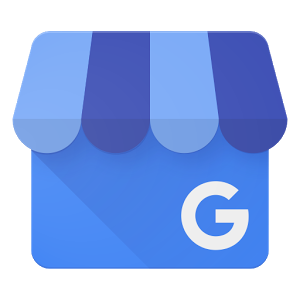 Google My Business provides broad categories that you can apply to your store. This will help users find you when they are looking for something specific that you may provide. If you fit in more of one of these categories, that’s no problem! You can apply more than one category to your location. A great benefit of Google My Business is getting your business placed as a pin on Google Maps. This is very helpful tool that will lead your customers to you. In a world where many use a GPS (and a good chunk of those specifically use Google Maps). For this you need to know the physical address of the store, and you may need use Google Maps to make sure the pin does hit the right spot (on the building) and isn’t across the parking lot where a competitor might be located. Remember that Google Satellite/Earth isn’t always updated, so it could be possible that your pin will be on a field of trees but still be on the appropriate location. It is extremely important to make sure that all of the location information is accurate, as this is what your users will be receiving. If you don’t have the complete location information or have any questions don’t be afraid to pick up the phone to call and ask! It is a time consuming task, but you do want to make sure your put your pin on a field of trees that used to be there, and not one that is still there. Google will confirm the information you provided with your website and anywhere else it can pull data from. If there is different information out there regarding your locations such as the hours or physical address, then Google will update your location profile to match those hours! Tip Five: Constantly Check Your Google Updates! Google pulls information regarding your business from your website (and possibly other sources too!) and makes updates that it thinks will make your location information more accurate! Google may know a lot, but it does not know everything, and so it is possible that these updates are wrong or need verification. It’s also possible that the information Google already had contradicts information from your last bulk import and so it requires verification. 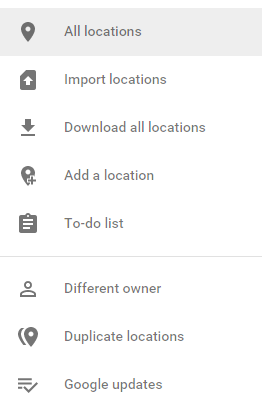 On the sidebar there is an option called “Google Updates” these are all the locations that have contradicting information or that need to be manually verified so the correct information can be published on Google. It’ll show you the information you last submitted and what is currently published, you want to make sure that this information matches and is accurate, or make the appropriate changes. It’s important to keep a constant check over this (even if it’s just once a week or once every two weeks) because the updates can and will build up. It’s easier to review 50 updates weekly, than 500 every few months. Don’t forget the information you put on Google Maps is information provided directly to your customers! Wrong information can lead to confusion frustration and loss of possible customers. 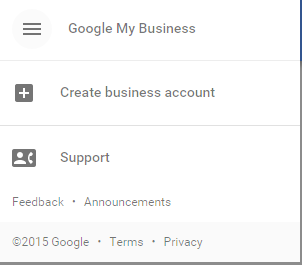 As you venture to manage your Google My Business accounts, I leave you with one last piece of advice: don’t be afraid to reach out to Google’s Support Team. They will provide great help and answer any questions you may have!